The Voice Australia is Australia's premier reality TV talent quest. The task was to create a Content Management System in Adobe CQ that could be used to build and maintain sites for all of Shine Australia's properties. 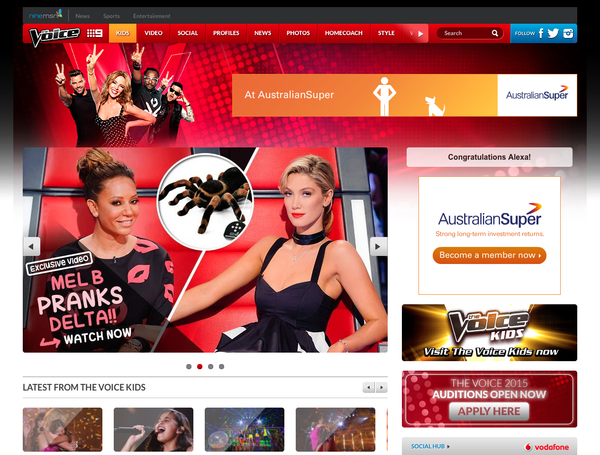 We built Project Ark and as it's first incarnation, The Voice Australia. The Voice Australia hosted over 20 million video views during Season 2 and is noted as one of the first '2nd screen' (using a tablet/smartphone/laptop whilst watching TV) platforms.